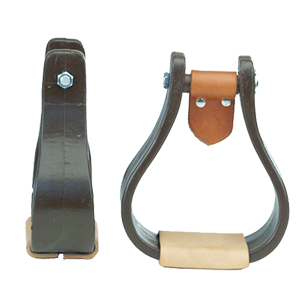 Made of soft supple leather. 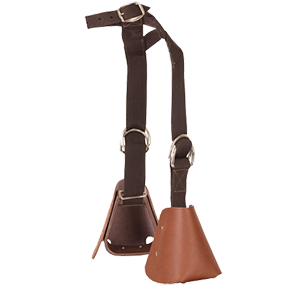 Two padded pouches that are added to the front of the saddle to supplement the swells and help the rider stay in the saddle. The two rolls are connected in the center, usually with a leather strap. 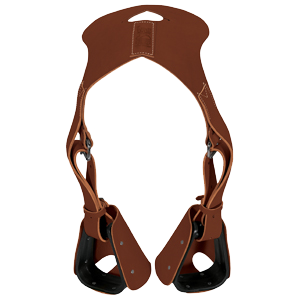 Easily attached with saddle strings or screws. 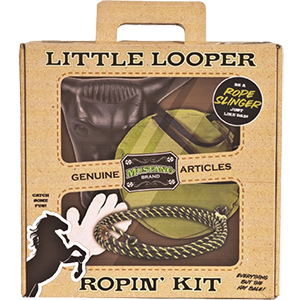 Prevents your rope from slipping around your horn. Designed and endorsed by Buddy Hunter. 12 individual dally wraps pre packed in a resealable plastic bag. 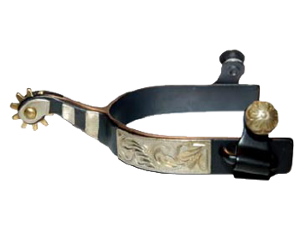 -Child’s spur with ½” engraved bands. 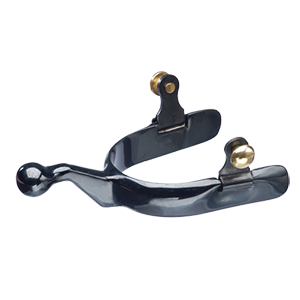 -1⅜” shank with 1″ – 10 point solid brass rowels and swinging buttons. 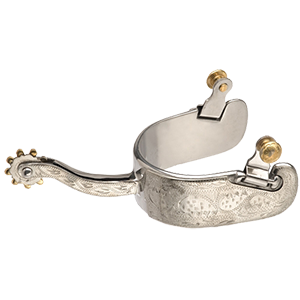 – Applied engraved silver coloured trim on body and shank. 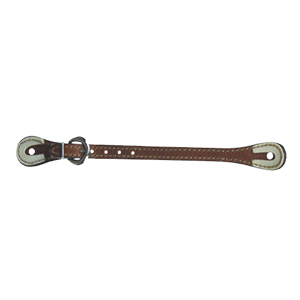 – 3″ offset shank with knob end. – ¾” stainless steel engraved band. – 1 ¾” shank with ¾” – 6 point solid brass rosebud rowel and brass buttons. 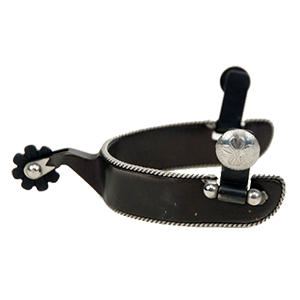 – Black steel, 1″ band. -2″ shank with 15 degree offset. 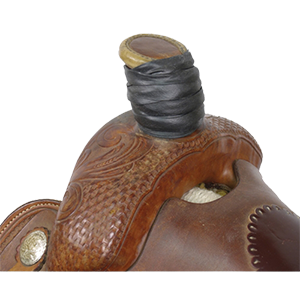 -1¼” – 5 point notched rowel. -Applied engraved silver coloured trim on body and shank. -3″ offset shank with 9 point rowel. 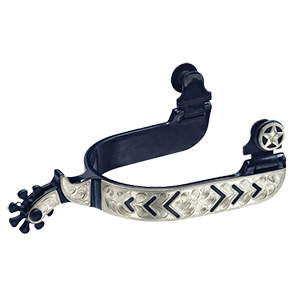 -Black satin spurs with applied silver coloured engraved and cut-out overlay. 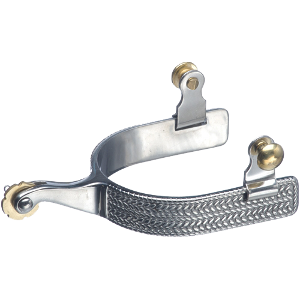 -¾” band with 1½” shank with chap guard. 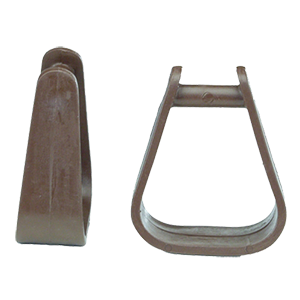 -1 ¹/16″ – 8 point rowels. Silver coloured engraved stars on swinging buttons. 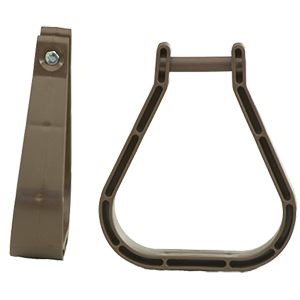 -1½” shank with 1″ rowels. 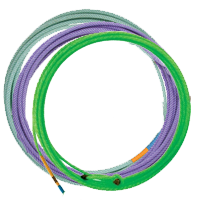 -1″ band with stainless steel rope edge design. 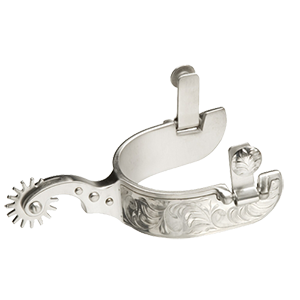 -1½” shank and 1″ – 8 point Rowel. 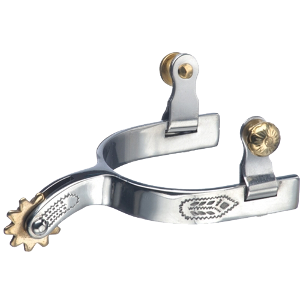 -FG, brushed, stainless steel spurs. 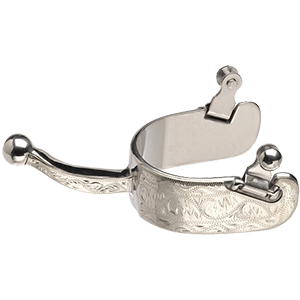 -Full Alpaca silver that is deeply engraved. 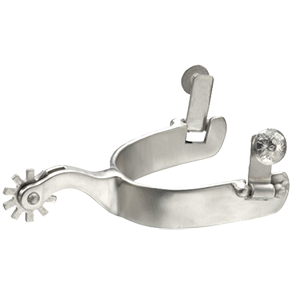 -1¼” – 16 point rock grinder rowels. 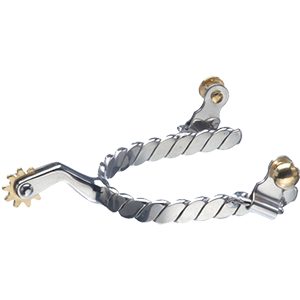 -Men’s 1⅜” band, 2¼” gooseneck shank with applied dots. 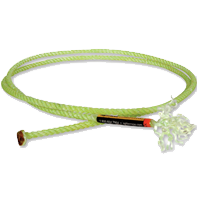 -Ladies 1″ band, 2″ gooseneck shank with applied dots. -Brushed stainless steel all around spur with oval cup. 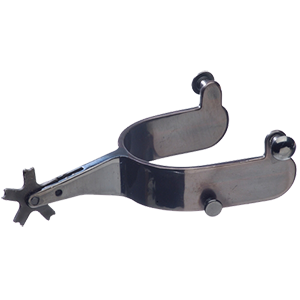 -1″ band with 2 ⅛” shank and 10 point blunt rowel. 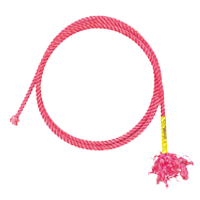 -Stainless steel, ½” band with engraved rope design. 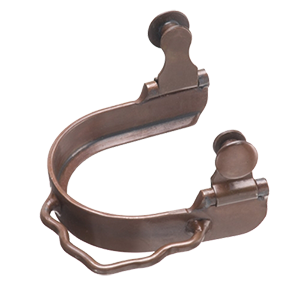 -1½” shank with solid brass ¾” – 6 point rosebud rowel and solid brass swinging buttons. 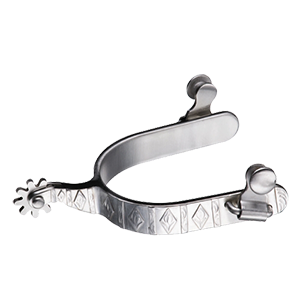 -¾” band, 1½” shank with knob end. – Solid brass swinging buttons. Antique brown, ¾” band with bottom ridge oval cup.